Jenn joined the dental profession in 2010, going straight into Oral and Maxillofacial surgery. In addition to being our patient coordinator, she maintains her Oral & Maxillofacial Surgical Assistant certification. She loves this field of dentistry and has a passion for her profession. 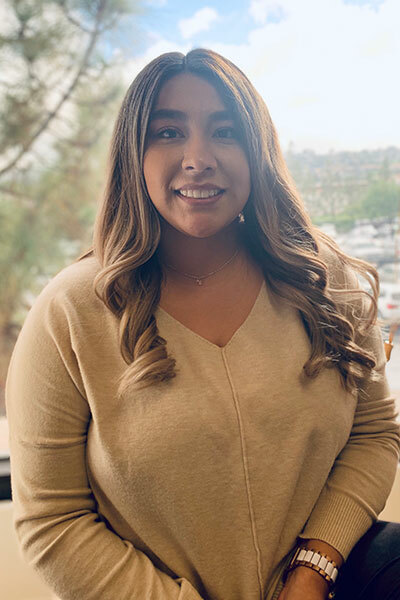 She enjoys helping patients and fulfilling their needs and concerns regarding oral surgery, allowing patients to have better understanding about their treatment. She excels at making patients feel comfortable and at ease along the way. Jenn and her family reside in Hawthorne. When not at work, she enjoys spending quality time with her husband and their two beautiful daughters.